The ideal first sleep-away camp at any age, Campus Kids brings our campers to camp on Monday morning for a fun-filled week of camp and brings them home Friday evening for weekend family time. Campers stay for 2 weeks up to the full season. Each camper chooses his/her own activities every day! Activities include swimming, tennis, squash, golf, archery, fencing, gymnastics, basketball, soccer, volleyball, softball, ultimate, lacrosse, field hockey, skateboarding, kickball, fishing, dance, drama, drums, guitar, yoga, fitness center, ceramics, painting, drawing, crafts, photography, tie-dye, rocketry, camp newspaper, evening programs, special events and lots more. 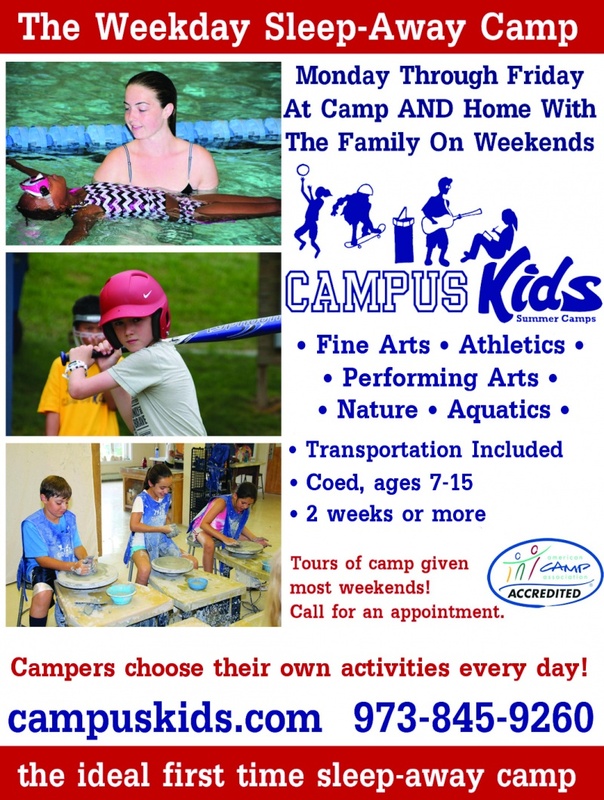 All-inclusive camp tuition (no tipping) includes transportation from Westchester and Rockland. Counselors (all college-age and older) create a caring, safe camp community and focus their attention and energy on their campers. Our camp philosophy emphasizes cooperation, kindness, fun, learning and safety. Camp friends become the best friends! ACA-Accredited and state licensed since our first summer in 1991. Our camp is located on the amazing rural campus of Blair Academy, offering the finest facilities. We would love to give your family a private tour (by appointment) on a Saturday or Sunday.